Description: Found in almost every forest in Overdark, they are the beast servants of Mammon, the Arch-Devil of Monsters. 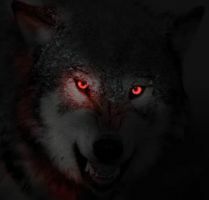 Two to three times the size of a normal wolf, these creatures are consumed by rage and their animalistic nature. They obey only those who the evil arch-devil commands them to obey. Can be a deadly threat when found in large numbers.